Henry Morgenthau Jr., US Secretary of the Treasury, suggested a plan for the total denazification of Germany; this was known as the Morgenthau Plan. The plan advocated the forced de-industrialisation of Germany and the summary execution of so-called "arch-criminals", i.e. the major war criminals. Roosevelt initially supported this plan, and managed to convince Churchill to support it in a less drastic form. Later, details were leaked generating widespread condemnation by the nation's newspapers[clarification needed]. Roosevelt, aware of strong public disapproval, abandoned the plan, but did not adopt an alternative position on the matter. The demise of the Morgenthau Plan created the need for an alternative method of dealing with the Nazi leadership. The plan for the "Trial of European War Criminals" was drafted by Secretary of War Henry L. Stimson and the War Department. Following Roosevelt's death in April 1945, the new president, Harry S. Truman, gave strong approval for a judicial process. After a series of negotiations between Britain, the US, Soviet Union and France, details of the trial were worked out. The trials were to commence on 20 November 1945, in the Bavarian city of Nuremberg. The vast majority of the defense attorneys were German lawyers. These included Georg Fröschmann, Heinz Fritz (Hans Fritzsche), Otto Kranzbühler (Karl Dönitz), Otto Pannenbecker (Wilhelm Frick), Alfred Thoma (Alfred Rosenberg), Kurt Kauffmann (Ernst Kaltenbrunner), Hans Laternser (general staff and high command), Franz Exner (Alfred Jodl), Alfred Seidl (Hans Frank), Otto Stahmer (Hermann Göring), Walter Ballas (Gustav Krupp von Bohlen und Halbach), Hans Flächsner (Albert Speer), Günther von Rohrscheidt (Rudolf Hess), Egon Kubuschok (Franz von Papen), Robert Servatius (Fritz Sauckel), Fritz Sauter (Joachim von Ribbentrop), Walther Funk (Baldur von Schirach), Hanns Marx (Julius Streicher), Otto Nelte (Wilhelm Keitel), and Herbert Kraus/Rudolph Dix (both working for Hjalmar Schacht). The main counsel were supported by a total of 70 assistants, clerks and lawyers. The defense witnesses included several men who took part in the war crimes during World War II, such as Rudolf Höss. The men testifying for the defense hoped to receive more lenient sentences. [clarification needed] All of the men testifying on behalf of the defense were found guilty on several counts. IV. FAIR TRIAL FOR DEFENDANTS Article 16. The Indictment shall include full particulars specifying in detail the charges against the Defendants. A copy of the Indictment and of all the documents lodged with the Indictment, translated into a language which he understands, shall be furnished to the Defendant at reasonable time before the Trial. Henry F. Gerecke [de], a Lutheran pastor, and Sixtus O'Connor, a Roman Catholic priest, were sent to minister to the Nazi defendants. Photographs of the trial were taken by a team of about a dozen US Army still photographers, under the direction of chief photographer Ray D'Addario. 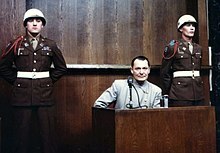 The Doctors' trial was the first of 12 trials for war crimes of German doctors that the United States authorities held in their occupation zone in Nuremberg, Germany, after the end of World War II. These trials were held before US military courts, not before the International Military Tribunal, but took place in the same rooms at the Palace of Justice. The trials are collectively known as the "Subsequent Nuremberg Trials", formally the "Trials of War Criminals before the Nuremberg Military Tribunals" (NMT). 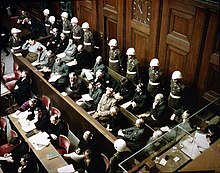 The Judges' Trial was the third of the 12 trials for war crimes the U.S. authorities held in their occupation zone in Germany in Nuremberg after the end of World War II. These twelve trials were all held before U.S. military courts, not before the International Military Tribunal, but took place in the same rooms at the Palace of Justice. The twelve U.S. trials are collectively known as the "Subsequent Nuremberg Trials" or, more formally, as the "Trials of War Criminals before the Nuremberg Military Tribunals" (NMT). 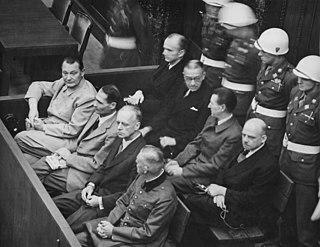 The subsequent Nuremberg trials were a series of twelve military tribunals for war crimes against members of the leadership of Nazi Germany, held in the Palace of Justice, Nuremberg, after World War II from 1946 to 1949 following the Trial of the Major War Criminals before the International Military Tribunal. 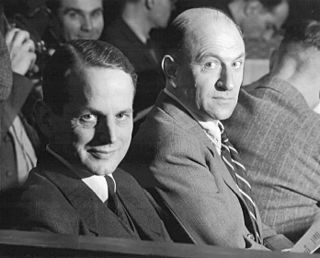 The Pohl trial against the Nazi German administration of the "Final Solution" was the fourth of the twelve trials for war crimes that the United States authorities held in their occupation zone in Germany in Nuremberg after the end of World War II. 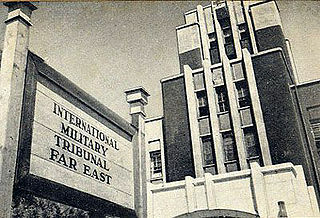 The twelve trials were all held before U.S. military courts, not before the International Military Tribunal, although both courts presided in the same rooms at the Palace of Justice. They are known collectively as the "Subsequent Nuremberg Trials" or more formally, as the "Trials of War Criminals before the Nuremberg Military Tribunals" (NMT). The United States of America vs. Friedrich Flick, et al. or Flick trial was the fifth of twelve Nazi war crimes trials held by United States authorities in their occupation zone in Germany (Nuremberg) after World War II. It was the first of three trials of leading industrialists of Nazi Germany; the two others were the IG Farben Trial and the Krupp Trial. The United States of America vs. Carl Krauch, et al., also known as the IG Farben Trial, was the sixth of the twelve trials for war crimes the U.S. authorities held in their occupation zone in Germany (Nuremberg) after the end of World War II. IG Farben was the private German chemicals company allied with the Nazis that manufactured the Zyklon B gas used to commit genocide against millions of European Jews in the Holocaust. The RuSHA trial against the SS racial policies of genocide was the eighth of the twelve trials held in Nuremberg by the U.S. authorities for Nazi war crimes after the end of World War II. These twelve trials were all held before U.S. military courts in their occupation zone in Germany, not before the International Military Tribunal, although they took place in the same rooms, at the Palace of Justice. The twelve U.S. trials are collectively known as the "Subsequent Nuremberg Trials" or, more formally, as the "Trials of War Criminals before the Nuremberg Military Tribunals" (NMT). The Einsatzgruppen trial was the ninth of the twelve trials for war crimes the US authorities held in their occupation zone in Germany in Nuremberg after the end of World War II. These twelve trials were all held before US military courts, not before the International Military Tribunal. They took place in the same rooms at the Palace of Justice. The twelve US trials are collectively known as the "Subsequent Nuremberg trials" or, more formally, as the "Trials of War Criminals before the Nuremberg Military Tribunals" (NMT). The Hostages Trial was held from 8 July 1947 until 19 February 1948 and was the seventh of the twelve trials for war crimes the U.S. authorities held in their occupation zone in Germany in Nuremberg after the end of World War II. These twelve trials were all held before U.S. military courts, not before the International Military Tribunal, but took place in the same rooms at the Palace of Justice. The twelve U.S. trials are collectively known as the "Subsequent Nuremberg Trials" or, more formally, as the "Trials of War Criminals before the Nuremberg Military Tribunals" (NMT). The High Command Trial, also known initially as Case No. 12, and later as Case No. 72, was the last of the twelve trials for war crimes the U.S. authorities held in their occupation zone of Germany in Nuremberg after the end of World War II. These twelve trials were all held before U.S. military courts, not before the International Military Tribunal, but took place in the same rooms at the Palace of Justice. The twelve U.S. trials are collectively known as the "Subsequent Nuremberg Trials" or, more formally, as the "Trials of War Criminals before the Nuremberg Military Tribunals" (NMT). 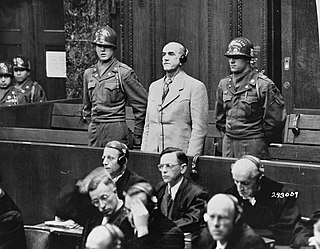 The Ministries Trial was the eleventh of the twelve trials for war crimes the U.S. authorities held in their occupation zone in Germany in Nuremberg after the end of World War II. These twelve trials were all held before U.S. military courts, not before the International Military Tribunal, but took place in the same rooms at the Palace of Justice. The twelve U.S. trials are collectively known as the "Subsequent Nuremberg Trials" or, more formally, as the "Trials of War Criminals before the Nuremberg Military Tribunals" (NMT). The Dachau trials were held for all war criminals caught in the United States zones in occupied Germany and Austria, as well as for those individuals accused of committing war crimes against American citizens and its military personnel. The trials, which were held within the walls of the former Dachau concentration camp, were conducted entirely by American military personnel whose legal authority had been conferred by the Judge Advocate General's Department within the U.S. Third Army. Emil Haussmann was a German SS functionary during the Nazi era. He was part of Einsatzkommando 12 of Einsatzgruppe D, which perpetrated the Holocaust in occupied Ukraine. 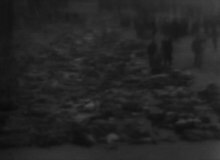 Haussmann was charged with crimes against humanity in 1947 in the Einsatzgruppen Trial. 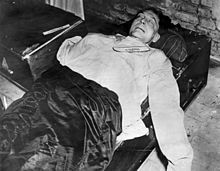 He committed suicide while in prison. Superior orders, often known as the Nuremberg defense, lawful orders, just following orders, or by the German phrase Befehl ist Befehl, is a plea in a court of law that a person—whether a member of the military, law enforcement, a firefighting force, or the civilian population—not be held guilty for actions ordered by a superior officer or an official. The following is a bibliography of works devoted to the Nuremberg Trials.